Change Data Capture (CDC) has been discussed in detail in my earlier articles. In this article, I will discuss an error message that I came across while disabling the CDC for a table due to insufficient parameters. Error Message: Change data capture instance ‘%s’ has not been enabled for the source table ‘%s.%s’. 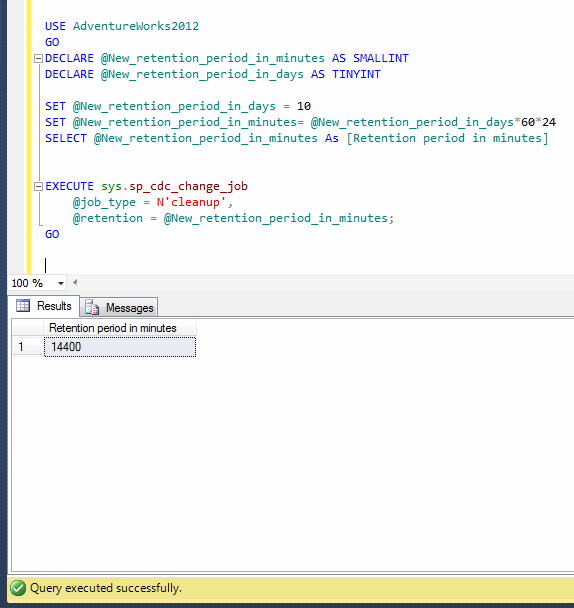 Use sys.sp_cdc_help_change_data_capture to verify the capture instance name and retry the operation. Let me DISABLE CDC feature on a particular table. 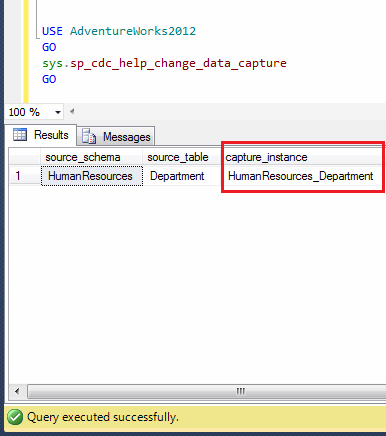 Change data capture instance ‘(null)’ has not been enabled for the source table ‘HumanResources.Department’. Use sys.sp_cdc_help_change_data_capture to verify the capture instance name and retry the operation. Ooopps…… I am unable to disable CDC on this table. How to fix it ? The resolution is very simple because partially it is explained in the error message itself. 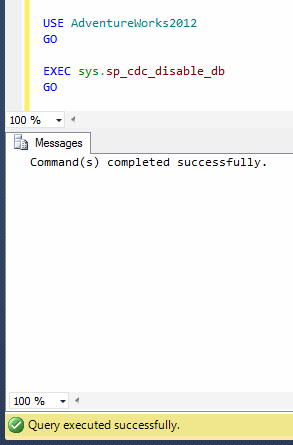 Let me fix this error step by step. 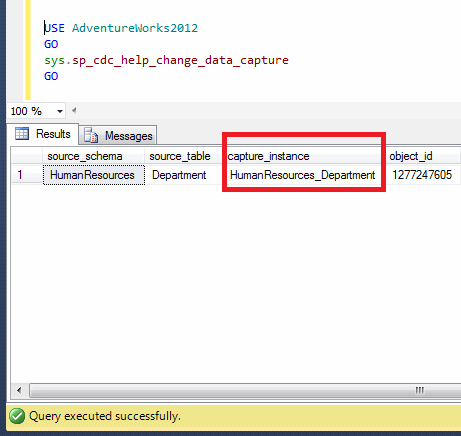 First of all, you need to execute sys.sp_cdc_help_change_data_capture (A system stored procedure) in order to find the capture instance name of that particular table name as shown below. The next step is to get the capture instance name of the particular table from the above result set and pass it in the sys.sp_cdc_disable_table (A system stored procedure) to disable the CDC feature from that table as shown below. Remember, whenever you need to disable CDC feature from any table, find out the capture instance name of the table and then disable it using sys.sp_cdc_disable_table in order to avoid this error. 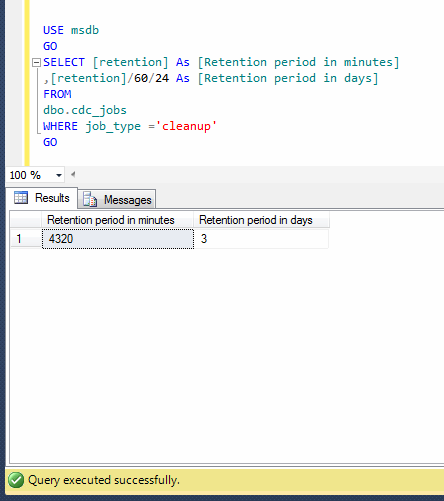 In my earlier two articles, I demonstrated how to enable and utilize the Change Data Capture (CDC) in any SQL Server database with few simple steps. However if you enable this feature for testing purpose in the test server, or sometimes you enable it on the wrong database / table by mistake, so you need to disable it by following few steps as shown below. Before proceeding with the disability of CDC feature in the database, you must make sure that you DO NOT need the changes recorded by CDC because once you disable it, the CDC data will no longer be available. 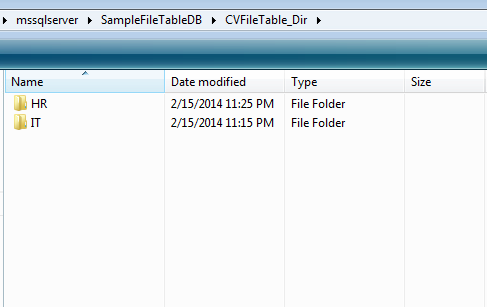 Let me explain how to disable the CDC from any respective table & database in few easy steps. 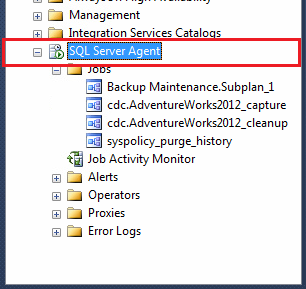 First of all you must make sure that your SQL Server Agent is UP and RUNNING as shown below. The next step is to find the name of the capture instance (audit table) of any particular table that you need to disable for CDC. In order to achieve it, you need to execute sys.sp_cdc_help_change_data_capture (system stored procedure) to get all the list of CDC enabled objects along with its capture instance name as shown below. 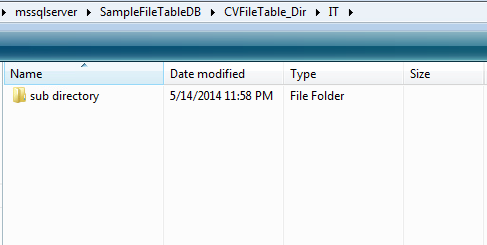 Please note, if you need to disable CDC for database ONLY kindly skip this step. Once you have the list, you need to note the capture instance name and execute the given below script with schema, table & capture instance name. 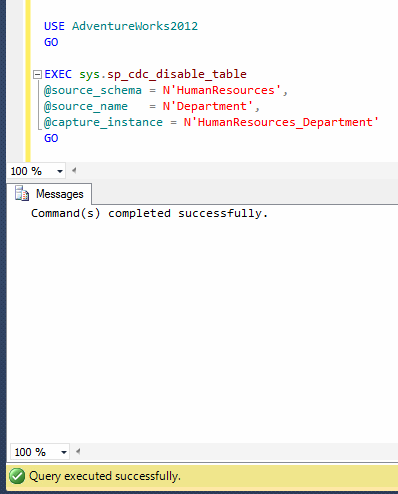 This script will disable the CDC feature for the particular table and you will lose all the CDC data for the given below table. In this step, we will disable the CDC feature from any database. Given below is the script that will NOT only disable CDC for any database but also will disable the CDC for all tables in that database. So be careful while executing this statement. 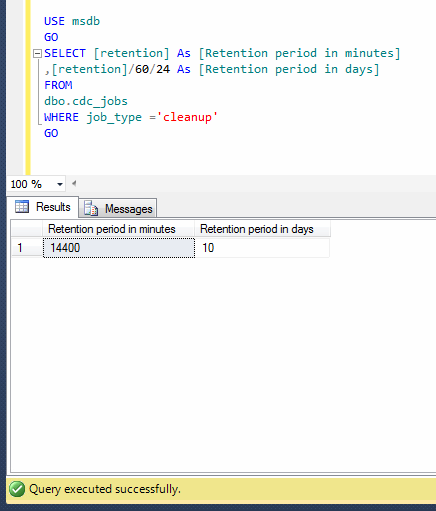 Let me know if you enabled CDC in your SQL Server and its feedback.